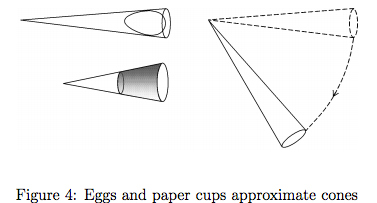 If anyone has seen a mathematical analysis of this phenomenon, more precise than observing that an egg-ovoid fits inside a cone, and a cone rolls a circular arc, I would appreciate a pointer. Thanks! Browse other questions tagged classical-mechanics mg.metric-geometry dg.differential-geometry reference-request or ask your own question. 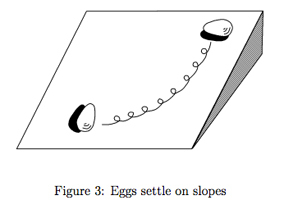 How to calculate the rolling resistance of a wheel over an obstacle?